Malcesine sits pretty on the east side of Lake Garda with the ridge of Monte Baldo rising behind the town’s narrow, medieval streets. The downside of being a quintessential Lake Garda town is that it’s a very popular spot with visitors and during the peak season it’s quite busy. You might have to wait for your gelato and share your patch of sand on the town’s best beach which is just south of the centre of town in a pretty cove called Val di Sogno. Some of our Guru’s recommendations for the best places to stay in Malcesine are close to the beach, while some are in the centre of town. Built in the 14th Century, the Castello Scaligero is an exciting place to explore with winding tunnels and battlements and a high towner which you can climb for fantastic views of the lake. Once you’ve visited the castle and explored the narrow streets and relaxed on the beaches, you might want to take a trip up Monte Baldo. It’s only 1750metres. There are spectacular views of the lake and the Dolomites, plus there’s a restaurant. You can hire mountain bikes at the bottom and take them up in the cable car and then ride them down. Malcesine is also a great destination for golf, paragliding, sailing, waterskiing and other watersports. And in winter there’s skiing. Just don't forget that this is a very busy place, so if you want to guarantee your bed in one of the best places to stay in Malcesine, you'll have to be organised and book well ahead. The Bellevue San Lorenzo is a beautiful Belle Epoque villa turned 52 room hotel. As well as being surrounded by beautiful grounds and having lovely lake views, the villa has an outdoor pool, fitness centre and spa. The Hotel Castello is a small, contemporary hotel right by the side of the lake. Some rooms have private balconies overlooking the lake. There’s lovely terrace, restaurant and guests have their own private beach. Romantic but also family friendly. 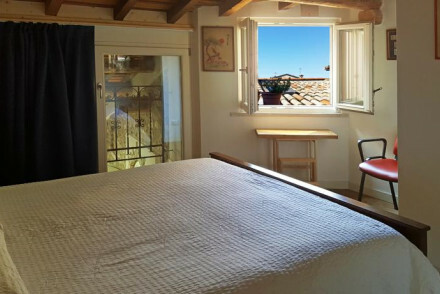 Tucked away on the cobbled streets of Malcesine, Porto Vecchio 10 is a delightful B&B. Exposed walls and beams point to the old townhouse's past with modern furnishings providing some contemporary comfort. A real charmer. Guesthouse Grand View lives up to its name with its incredible hilltop location overlooking the lake. Charming rooms and a glorious infinity pool make it a great place to relax. Don't miss the spectacular sunsets over the lake. The best airport for getting to Malcesine is Verona (34 miles). To hire a car, explore the options at our online partner Rentalcars. The best time to visit Malcesine is from June to September, when the temperature sits comfortably in the twenties. 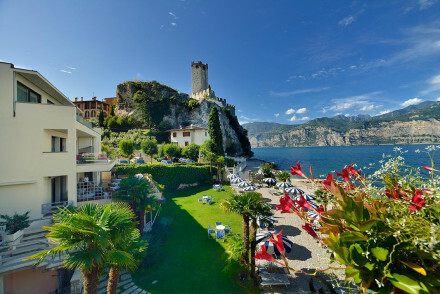 Still not sure which is the best place to stay in Malcesine for you? 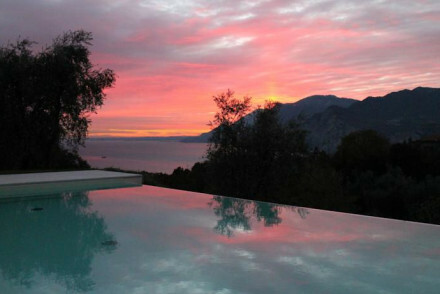 Browse though our list of all the best places to stay in Malcesine. 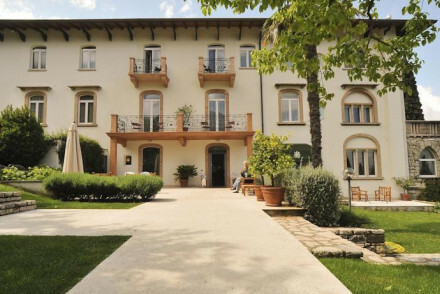 Expand your search to include all the best places to stay on Lake Garda? Search our Guru’s list of the best luxury hotels on Lake Garda?